Attack the hip to sound hipper. Point to the fact that someone is supporting the wrong charity, or how they have somehow failed to be as totally inclusive in their philanthropy as you have been. It’s interesting how this kind of bullying somehow slips under the radar, and it’s often written in a rhetorical way that invites no dialogue. It is the province of the snob, and increasingly seems to be the remit of the uncharitable or deceptively helpful critic, who just wants to help you out of your ignorance, you poor cultural hayseed. This failure of critical writing plagues a lot of magazines and journals, and does little to endear a reader to a viewpoint they may not share. Why would someone sneering at you be at all seductive? Adverts that employ a similar tack, where they choose to focus on the failings of the competitor’s products rather than talking about the benefits of their own products fall into the same trap. If Clinton hadn’t sneered about Trump and by extension his supporters, might she have stood a better chance of not alienating them, and perhaps of been able to persuade them of the rightness of her own campaign? Maybe not – in a lot of areas they seemed as diametrically opposed as the strictures of their chosen parties demand. But denigrating people is hardly a great tactic to win over hearts and minds. It is essential for critics to have an opinion – most of their readers look to them for guidelines on how to formulate their own approach to a piece of work, but pulling apart, for instance, Dylan, in order to trot out the more “authentic” artists that you like, and which demonstrate your own cultural savvy is a callow practice that does little to elevate anyone involved in the equation. Best Ofs in a way are doing a similar thing, but their whole angle is to accentuate the positive, and talk about what they liked. If you feel someone or something is superior to another person or thing, why not just write about the thing you like? Sure, in some essential way this may be missing the point of being a critic – to be critical. The thing is, constructive criticism is all well and good, but finding out how ill conceived your admiration for someone is, and how stupid you are, and how uncool you really are … it doesn’t feel good, and its not true. The person you are reading is picking a fight just to say something controversial and mistaking it for interesting half the time. It’s a dead end. It’s misguided. Mos Def’s song Rock And Roll juxtaposes white musicians with black musicians against them and tries to claim that all the white musicians are copyists with no soul. So, The Rolling Stones are trumped by Nina Simone; Elvis Presley gets beat out by Chuck Berry. The whole idea being that they’re guilty of cultural appropriation and therefore inauthentic. It’s true that groups like Led Zeppelin owed a big debt to people like Willie Dixon, and sure The Rolling Stones listened to a lot of Blues records, but it is not as if they don’t make it their own and add something new into the mix. Bowie was called a chameleon at points and lines of influence can be traced between him and Lou Reed, Iggy, Marc Bolan; dig back further and John Webster was called a ‘thieving inveterate magpie’, and Shakespeare interpolated older stories through his plays. You are on shaky ground when you start batting the notion of authenticity around, and hipness is on a sliding scale too. 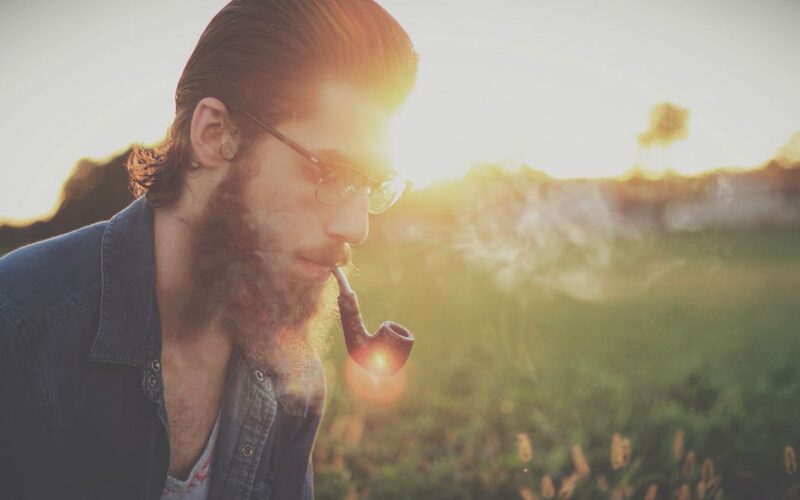 Self proclaimed hipsters are rarely hip, and your claim for cool eradicates your coolness – too full of yourself. Sometimes you should just focus on what you have to offer or what you like in something – it makes for positive advertising, and creates a better message. As a critic most readers want to know how cool a product is, not how cool you are. All viewpoints are relative, and the disclaimer that should be attached to any piece of writing not solely fact based that says it is the opinion of the writer only.